The lecture will be drawn from Hazel Carby’s forthcoming book, Imperial Intimacies (Verso 2019), and will address issues of black belonging in the racist formation of the UK post-WWII. ‌Hazel Carby is Charles C. & Dorothea S. Dilley Professor of African American Studies & American Studies, Professor of American Studies, and the Director of the Initiative on Race, Gender, and Globalization at Yale University. Her books include Reconstructing Womanhood (1987), Race Men (1998), and Cultures in Babylon (1999). 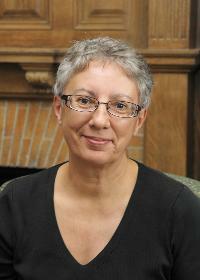 She was named the 2014 recipient of the Jay B. Hubbell Medal for Lifetime Achievement in American Literary Studies. ‌‌The topic of the Friday salon with Professor Hazel Carby will be her forthcoming book Imperial Intimacies. The occasion provides an opportunity to think about Carby’s intellectual formation, migrations, and interventions on both sides of the Atlantic. Participants will have an opportunity to ask a wide range of questions about the historical and contemporary issues on which Carby’s scholarship has consistently intervened. Excerpts from Imperial Intimacies will be provided to all registrants.